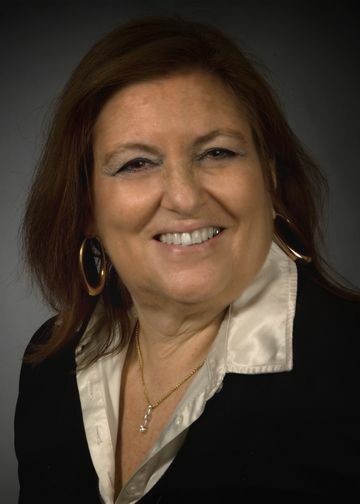 Dr. Barbara Cornblatt is a professor of psychiatry and molecular medicine at the Donald and Barbara Zucker School of Medicine at Hofstra/Northwell. For more than 20 years, she has focused her research on the causes and treatment of serious mental illness. She also directs the Recognition and Prevention (RAP) program, which she founded in 1998, at Zucker Hillside Hospital. RAP is dedicated to treating early warning signs of mental illness in adolescents and young adults and is one of the longest running centers of its kind in North America. More than 500 young people have participated in both the research and treatment components of this program. Early treatment in the RAP Clinic has been consistently associated with a high rate of clinical improvement. Dr. Cornblatt has authored or co-authored over 150 scientific articles and book chapters and has given many scientific talks nationally and internationally to a variety of prestigious scientific organizations, hospitals and consumer groups. She is the co-director of the International Prodromal Research Network, which sponsors international collaborations and prevention studies. She is also a member of the North American Prodrome Longitudinal Study (NAPLS) consortium, one of the largest and most successful prevention collaborations worldwide. Dr. Cornblatt focuses on the neurocognitive roots of mental illness and has developed the Continuous Performance Test, Identical Pairs (CPT-IP) version, considered internationally to be one of the cutting-edge measures of working memory and attention. She recently received awards from the National Alliance on Mental Illness (NAMI Queens/Nassau) and from the Women’s Health Institute, Katz Women’s Hospital (Lorinda de Roulet Award) for the achievements of the RAP research program. Dr. Cornblatt’s research focus is on the early identification and treatment of adolescents and young adults (ages 12-22) who are considered to be at-risk for developing serious psychiatric illness as adults, especially schizophrenia and other psychotic disorders. The major goal of the RAP program is to prevent illness from developing in at-risk youngsters. Since the onset of the RAP program in 1998, over 500 young people have participated in both treatment and research components of the program. While a high rate of clinical improvement has already resulted from the RAP intervention procedures, new treatment strategies, both pharmacological and psychosocial, continue to be evaluated, with a particular emphasis on family involvement. From a research perspective, the RAP program is focused on identifying biologically based risk factors and understanding the biological mechanisms leading to illness. Mechanisms and predictors are studied on multiple levels of development, starting from the earliest genetic factors up through a number of cognitive and behavioral problems. A major emphasis is directed at improving real world functioning (e.g., social skills and success at school and/or work). Dr. Cornblatt is also concerned with potential environmental triggers of illness and has extensively studied the impact of cannabis on emerging symptoms. Most recently, the RAP program and eight other top academic centers have formed a multi-site collaboration to expand prodromal research. Some of the new areas introduced into the RAP research program include studies of the structure and function of the brain (MRIs), electrical activity on the brain (EEG), impact of cortisol and stress and possibly blood analytes, proteins and other biomarkers to improve accuracy of prediction. The RAP program is funded by the NIMH and several private foundations, including Robert Wood Johnson and the International Mental Health Research Organization. Seidman, L.J., Giuliano, A.J., Meyer, E.C., Addington, J., Cadenhead, K.S., Cannon, T.D., McGlashan, T.H., Perkins, D.O., Tsuang, M., Walker, E.F., Woods, S.W., Bearden, C.E., Christensen, B.K., Hawkins, K., Heaton, R., Keefe, R.S., Heinssen, R., Cornblatt, B.A. ; North American Prodrome Longitudinal Study (NAPLS) Group. “Neuropsychology of the prodrome to psychosis in the NAPLS consortium: relationship to family history and conversion to psychosis.” Arch Gen Psychiatry, 67(6):578-88, Jun 2010. Cannon TD, Cadenhead K, Cornblatt B, Woods SW, Addington J, Walker E, Seidman LJ, Perkins D, Tsuang M, McGlashan T, and Heinssen R. “Prediction of psychosis in youth at high clinical risk: A multi-site longitudinal study in North America.” Archives of General Psychiatry; 65(1): 28-37, 2008. Burdick KE, Goldberg TE, Cornblatt BA, Keefe RS, Gopin CB, Derosse P, Braga RJ, Malhotra AK: “The MATRICS consensus cognitive battery in patients with bipolar I disorder.” Neuropsychopharmacology 2011; 36:1587-1592. Addington J, Cornblatt BA, Cadenhead KS, Cannon TD, McGlashan TH, Perkins DO, Seidman LJ, Tsuang MT, Walker EF, Woods SW, Heinssen R: “At clinical high risk for psychosis: outcome for nonconverters.” Am.J Psychiatry 2011; 168:800-805. Cornblatt BA, Carrion RE, Addington J, Seidman L, Walker EF, Cannon TD, Cadenhead KS, McGlashan TH, Perkins DO, Tsuang MT, Woods SW, Heinssen R, Lencz T: Risk “Factors for Psychosis: Impaired Social and Role Functioning.” Schizophr Bull. Schizophr Bull. 2012; 38, 1247-1257. Auther,A.M., McLaughlin,D., Carrion,R.E., Nagachandran,P., Correll,C.U., and Cornblatt,B.A., 2012. “Prospective study of cannabis use in adolescents at clinical high risk for psychosis: Impact on conversion to psychosis and functional outcome.” Psychol Med. 2012 Apr 30:1-13. Yung,A.R., Woods,S.W., Ruhrmann,S., Addington,J., Schultze-Lutter,F., Cornblatt,B.A., Amminger,G.P., Bechdolf,A., Birchwood,M., Borgwardt,S., Cannon,T.D., De Haan,L., French,P., Fusar-Poli,P., Keshavan,M., Klosterkotter,J., Kwon,J.S., McGorry,P.D., McGuire,P., Mizuno,M., Morrison,A.P., Riecher-Rossler,A., Salokangas,R.K., Seidman,L.J., Suzuki,M., Valmaggia,L., van der,G.M., Wood,S.J., and McGlashan,T.H., 2012. “Whither the attenuated psychosis syndrome?” Schizophr Bull. 38, 1130-1134. Fusar-Poli,P., Borgwardt,S., Bechdolf,A., Addington,J., Riecher-Rossler,A., Schultze-Lutter,F., Keshavan,M., Wood,S., Ruhrmann,S., Seidman,L.J., Valmaggia,L., Cannon,T., Velthorst,E., De Haan,L., Cornblatt,B., Bonoldi,I., Birchwood,M., McGlashan,T., Carpenter,W., McGorry,P., Klosterkotter,J., McGuire,P., and Yung,A., 2012. “The Psychosis High-Risk State: A Comprehensive State-of-the-Art Review.” Arch Gen Psychiatry. 1-14. Carrion, R.E., McLaughlin, D.M., Auther, A.M., Olsen, R., Olvet, D.M., Correll, C.U., Cornblatt, B.A. In Press. “Prediction of Functional Outcome in Individuals at Clinical High Risk for Psychosis.” Arch Gen Psychiatry.